California is one of the biggest states in the country. With some of the largest cities congregated in one area, you’ll often see notifications for AMBER Alerts. The harsh truth is that sometimes we disregard these phone messages by passing them off as someone else’s problem. But, what would taking an initiative look like? The bystander effect is when someone assumes another person will handle a situation that is unfolding in front of them. In this case, an AMBER alert. Instead of being a bystander, you can do your part in helping prevent AMBER alerts. It may not be as easy as enrolling in an online traffic school and learning how to drive safely, but it could help to keep our state’s children safe from abductors driving on our highways. During an AMBER alert, a notification is broadcasted out to everyone across the state through media coverage, phone notifications, and – even – email notifications. When you receive an AMBER alert, you will be prompted with a quick identification of a missing child and, potentially, the culprit. Along with this, you will receive information on where they were last seen or where the alert was reported. 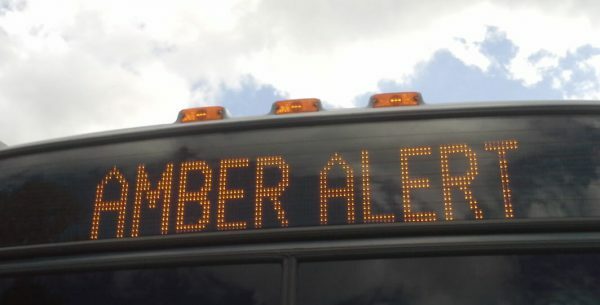 Using this information, the AMBER alert system encourages willing bodies to be aware of the description of the people involved with the abduction. This is where the bystander effect comes into play. Most people swipe away the notification and shove the information in the back of their mind. In the event of an AMBER alert, being aware and willing to respond to suspicious activity is important for everyone. Instead of expecting someone else to handle it, be empowered to speak up when you see someone act out. If you’ve ever wondered what you would do if you spotted an abduction, the first thing you should do is call 911. Reporting the incident is detrimental to the success of returning the victim. However, if you have a child or believe a child to be missing, there is a specialty hotline just for you. Calling 1-800-THE-LOST (843-5678) is the national number for guardians who believe their child has gone missing. When a child is reported missing, their profile is vetted through a quick reporting process to escalate the issue, if need be. Not all AMBER alerts are requested. Some instances of a missing child result in a quick recovery by an individual thwarting the attempt, police intervention, or the child was not missing the entire time. The important thing to do, when you spot an abduction, is to report it immediately. Falling victim to the inner monologue of “this is someone else’ problem” or “maybe it’s not a kidnapping” doesn’t help the situation. Unfortunately, there are kidnappings that go unreported because of these thought patterns. In most AMBER alert reports, the perpetrator often turns out to be someone the abductee knows. Usually it’s the parent. In 2017, 13 of the 21 abductions reported involved a parent or guardian related to the victim. Over the last 3 years, there has been 32 AMBER alerts sent out to California residents to encourage the awareness of vehicles. What’s more impressive is out of those 32 AMBER alerts, all 32 of the victims were recovered. So far, in 2018 there has been 2 AMBER alerts, which is the lowest in the past decade. The effectiveness of AMBER alerts is phenomenal. Across the country, there has been about 800 children rescued because of the alert system. You can do your part to keep it up!